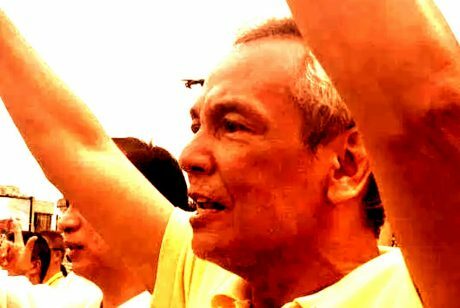 Satirical News: Jim Paredes Vows To Launch "Light A Firecracker Against Duterte Movement"
As the holidays are approaching, epal man Old Man Jim or Jim Paredes makes headlines again. He was recently interviewed by ABiaS-CBN reporter Korina Sanchez-Roxas where he mentioned he is going to launch the "Light a Firecracker Against Duterte" movement. "This is an insult to democracy and Filipino tradition. What is Paskong Pinoy and Pinoy Bagong Taon with the firecrackers in your residence? If that is the case, I will invite Filipinos who want to get rid of the firecracker ban to join me. We will light firecrackers against President Duterte. This will be an act of heroism where we will throw firecrackers at the Malacanang and all places that support him in order to force him to resign. I will invite everyone to attend this noble cause to save democracy before New Year." said Paredes in an interview with Korina. Some people who are endorsing the "Light a Firecracker Against Duterte Movement" are as follows. Those who were identified are Alexander Katigbak, Leah Navarro, Cynthia Patay (who previously wanted to burn all Yellow Cab Pizza outlets), Agot Isidro, Kris Aquino, Tom Villarin, Renato Reyes Jr., Toady Casino, Neri Colmenares, Cheato Gascon and Etta Rosales who were presently there. "It's clearly a violation of human rights with what Duterte is doing. People should have the right to celebrate with firecrackers at their residences. This firecracker ban is proof Duterte doesn't respect our rights to have a good time." said Gascon. "This is the moment we are waiting for. We must throw these firecrackers at establishments that support Duterte so we can win our freedom back." said Katigbak who was seen wearing a Santa Claus suit. Kris, Agot, Korina, Leah and Cynthia announced their senatorial candidacy. They hope that the firecracker movement they would launch would defend democracy. The movement will start on December 29 and will end on December 31. However netizens have answered Paredes that they will join him. But first, the firecrackers must be strapped on Paredes and they will light him up on fire instead.